Fall TV premiere season is upon us, which means shows are starting to reveal more and more exciting character and casting news. One recent reveal came from CBS’s Supergirl. This new DC Comics series has revealed the look at one of the main villains of season one, Red Tornado, who will be played by Iddo Goldberg, star of Netflix’s Peaky Blinders. 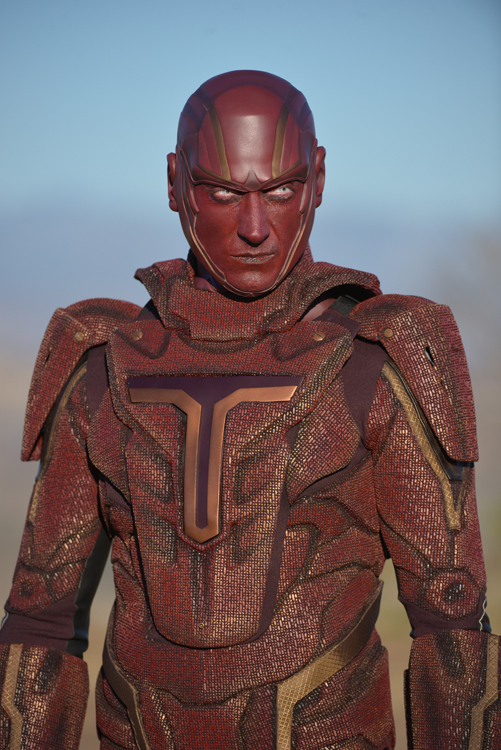 Red Tornado is an android designed by Dr. T.O. Morrow for the U.S. Army, turning Morrow into a threat himself. Red Tornado is described as the most advanced android the world has ever seen and is basically a weapon that becomes sentient. According to Variety, executive producer Greg Berlanti has teased that Red Tornado will have a connection with General Lane, Lois and Lucy’s father. The show will also feature DC villains Livewire, Reactron and Non in season one. The series stars Melissa Benoist as Supergirl (Superman’s cousin) and Calista Flockhart as Cat Grant. Tune in to see how Supergirl handles Red Tornado when Supergirl premieres at 8:30/7:30c on Oct. 26 on CBS.